PG Tips, the Unilever-owned tea brand, has created a scratchcard-style Facebook app that gives consumers the opportunity to win up to £100. 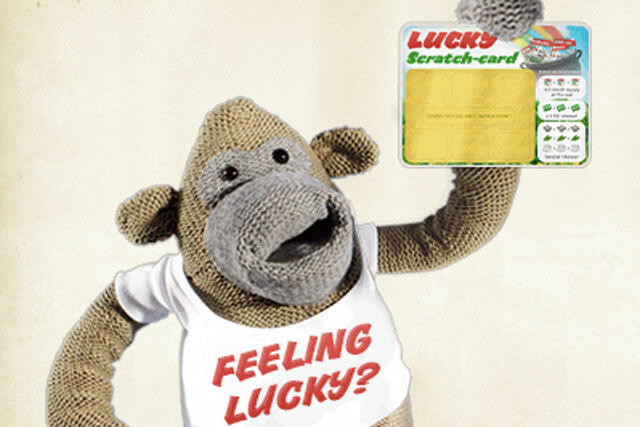 The Lucky Scratch Card app by We Are Social hands consumers the opportunity to win a range of prizes, from £100 in cash to a six-month supply of PG Tips. Consumers can play on the scratchcard app once a day. It has been created in support of the brand’s current on-pack promotion to win an instant cash prize of £5,000. Tana Walker, PG Tips brand executive at Unilever UK, said: "PG Tips' Facebook page has been hailed as the 'most engaged Facebook community in the UK' and this light hearted campaign gives us the opportunity to reward our fans for their loyalty. "PG tips remains the number one tea brand in the UK, worth over £156m, with a 25% market share. "As category leaders, we are dedicated to continuing to support the tea category and this app will encourage new fans to take a look at our Facebook page as well as drive further engagement from our existing loyal fan base." The brand is also promoting the giveaway with a new version of an ad from last year. In August PG Tips struck a deal with Channel 4 quiz show 'Deal Or No Deal' to use the brand’s logo on the mug used by the lead contestant.